Recently, my family and I went to see Freckleface Strawberry The Musical at New World Stages. The musical is based on the book by Julianne Moore. I really did not know what to expect. I have been to many Broadway shows and my children have been to a few, but this was our first time to New World Stages. I was pleasantly surprised to see how many theaters were housed there. We made our way down to Freckleface Strawberry and got seated. 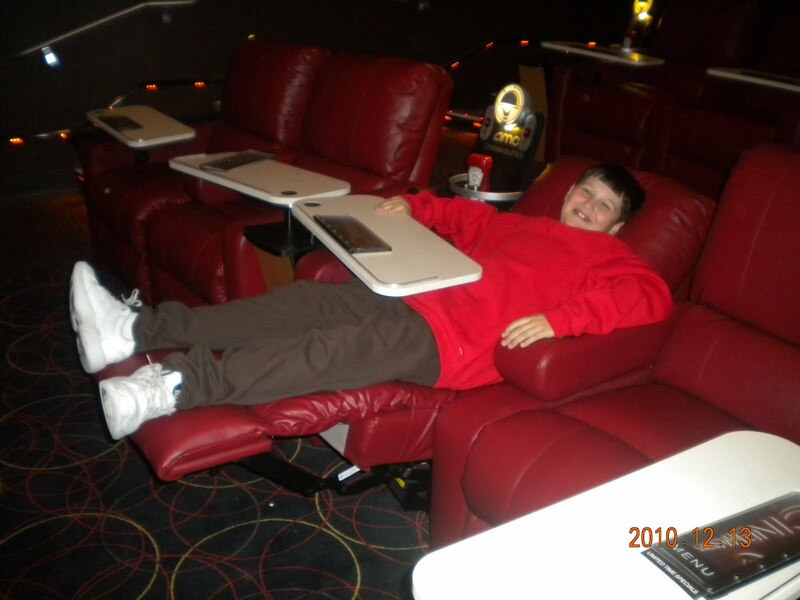 The theater was medium sized, so every seat was a good one. We were seated in the back and Em could see the entire show easily. The musical was filled with plenty of fun and quite a few “entertaining” songs, not to mention “non-stop” jokes! Seeing that the musical lasts about one hour and is 3 scenes long, it was very easy for my little one to keep focused and “in” the fun! My other children enjoyed it also. There was enough entertainment to keep everyone smiling and laughing throughout the show. One drawback- be ready to sing “Little Freckeface Strawberry” over and over during the days following this show! Recently our family had the pleasure of visiting Sea World Orlando! Our day was filled with fun, learning, and a lot of splashes! up, held up the fish and “like magic” the dolphins appeared. Emily, Adam, and Louie all had a chance to not only feed, but also pet the dolphins. After leaving the dolphin area, we made a quick stop at the Stingray area where everyone took turns petting stingrays. Next on our list was Manta! Now that is some roller coaster! Before actually boarding the ride you walk through a wonderful tropical fish paradise. It surrounds you. As you get closer to boarding the ride you realize you will be hooked on to the belly of the Manta, you ride this face down. It gives you the feeling that you are actually flying and comes very close to the water. Manta has a bunch of loops that make this ride unique and tons of fun! My oldest son had to admit that it did top his old favorite of Kraken! The rest of our day was filled with seeing penguins, sharks, sea turtles and sea lions! Of course I cannot forget to mention the Polar Bears! They are always a favorite of mine and so is the Wild Arctic Ride! My 3 year old daughter had a ball at Shamu’s Happy Harbor. It was just her size! Our night was topped off with “Shamu Rocks” followed by fireworks! I could not have asked for more! My family LOVES Sea World and looks forward to our next visit! Wow! When I heard the original forecast about the impending snowstorm, I was very skeptical. As the first snowflakes began to show themselves, I stated to believe that the actual storm would really happen. But, I had NO idea what was to come. The snow fell and fell and fell. The blizzard seemed to be never ending as inch after inch of snow white flakes piled up on top of the steps, sidewalk and roads. The cars seems to disappear. As the night went on thunder and lightening filled the sky. It was a storm like I had not seen in a long time. When all was said and done, our family woke up to over 3o inches of SNOW!! The kids jumped with happiness when they opened the front door! It was Emily’s first big snowstorm and my sons had not seen a biggie like this before in their lives. They headed out for some “snowfun“! Wow! I’m really not a big fan of snow at all, but it was pretty….I just hope it’s not a prelude to the winter of 2011! Happy Snow Days! A New York City Christmas! Even though I did not actually spend Christmas in New York City, I did spend a lot of time there leading up until Christmas. It seems no matter how much time you have in NYC, it’s never enough! I felt especially blessed to share the holiday experience with my family. I was lucky enough to see Tiffany’s lit up as a gift box and their gigantic crystal light display illuminating the streets. Radio City always know how to do it up right with wooden soldiers that go alongside the famous sign as they tip over every few minutes! Of course my yearly favorite was Rockefeller Center where people lined the surrounding streets shoulder to shoulder trying to get a glimpse of the humongous tree. But the crowd was well worth it! The tree at Rock Center was just breathtaking! It’s really an experience you would not want to miss if you are in the area. The windows all the way down 5th Avenue were adorned with different scenes, one more beautiful than the nest. I think no matter what street you walked down from Times Square up to Central Park you were able to be taken in by the city lights! It’s makes me sad to see the Christmas season come to an end, but I do look forward to the Christmas lights in New York City every year! Premium, upscale in-theatre dining- Reserved seating in luxury recliners- Extensive menu options such as Lobster Ravioli and Bleu Cheese Chips. I personally ordered the Tenderloin Steak Tips and can’t even begin to tell you how delicious they were! service! Just a press of the red button and your waiter will appear with your favorite drink (I enjoyed the Mango smoothie), speciality popcorn, or whatever you choose to order! By the end of the movie your check will be delivered and that’s a wrap! The only problem I see going to the AMC Cinema Suites it that is it SO comfortable, it was sad to see the movie come to an end. I cannot wait to go back again! upgraded reserved seating,a wonderful menu including crab rangoon dip (delicious) and many other great choices. Guests must be at least 18, or accompanied by a parent or guardian at least 21. See you soon at the AMC Dine-In Theater Menlo Park 12! If you would like “buy one ticket get one free” or Free dessert or appetizer with the purchase of an entree, please follow my blog and post a comment with your email so I can get in touch with you!